Let's discuss your event tech needs and match them with the proper Aventri solutions. Our man goal is to help! "Buyer Beware - There are Major Issues on The Aventri/eTouches Road"
Overall, their direct support persons try to assist as much as possible and have proven to be available at a wide variety of hours and days of the week. There are some major areas where I have problems with the platform and will be drawing the line with them before going into another year. That problem centers around their lack of concern with addressing one of the major reasons we decided to use them; the integration with PayPal. Their system simply doesn't handle PayPal transactions properly and after years of trying to work around it, it's clear, they don't see it as a problem worth fixing. The problem is that once a person checks the option to pay with PayPal, they treat the transaction as 'Confirmed', they send out any automated information for 'Confirmed' registrants, and they charge your record for a 'Confirmed' registrant. This all happens without regard for whether the registrants complete the PayPal transaction. When someone doesn't pay with PayPal or doesn't complete the transaction, you're left with an account that has a balance but is 'Confirmed' in your system. Their support team says to simply contact the registrant and request payment. If we wanted to do collections, we wouldn't have paid thousands of dollars for a registration system. In addition to having NO Solution to this problem, their idea of you having an 'Account Manager' is a complete joke. I hadn't heard from mine in a year and she's left me hanging on numerous issues, multiple times. Lastly, be prepared to come to the realization that this is not "A" product. It's a cobbled together bundle of products they obtained from other companies over the years and brought under a single brand. There are major disconnects between modules and strange limitations that will slow your production down significantly. Buyer Beware!!! You're in for a wild ride. They should know that the products described in their advertising is not integrated well and will ultimately not deliver a seamless experience. In addition, they have some serious workflow issues that may impact the ability to collect money and track finances. You will be assigned and 'account manager' but don't expect them to actually 'manage' anything. We've not heard from ours in a year. Just another invoice from billing. At this point, we're using the platform as little as possible and will be moving away from it. We simply can't afford to lose more time and effort working around the product while paying premium prices. "A big and bloated piece of software"
Even though the call for proposals is built-in you'd think it was a completely separate system from the agenda manager. The flow of information between the two is not seamless and well integrated. It takes too much clicking around to make the simplest changes to the description and presenter information. For SEO and so we wouldn't have to re-build, we kept our event website in a different platform. Aventri doesn't have the ability for us to truly customize registration & agenda pages to match the look and feel of our existing website, nor do they have iframes that we could put on our existing site. Buyer beware. They're expensive and different modules within their platform aren't truly integrated. We used the platform to handle our company's annual user conference. We didn't realize any true benefits from it beyond what we received from competing platforms. Having a seamless call for proposal process flowing into agenda management was the key reason we went with aventri. Their system was no better than if we used two different tools and exported and imported. Aventri has been great to use for our commencement ceremony. The registration system is intuitive, making it easy for staff and students to navigate the system. I do have difficulty with the formatting of the email/messaging formats. This could be strictly my capabilities but when copying and pasting a message into the field the formatting is always off and it takes some work to fix it. Aventri has made my job so much easier when tracking registrations for commencement. I was able to set up the system the exact way I would need it to be organized and thorough with my tracking. The reports I am able to rate help significantly. I’ve used the chat feature to receive assistance and the staff members have always been helpful and provided me with the exact information I was seeking. Search capabilities are nice. I have found this to be very useful. Support docs and videos are useful to reference. Support team is amazing. Highly recommend them. I would like to be able to manage images and documents directly through the HTML editor vs. having to go through the account level widget. Formatting in HTML editor is difficult. This is a good product, but it often needs help from support agents. Outlined in previous question. .
"etouches - Easy to use, full featured, made for Event Professionals"
Options available are amazing. Ability to add functions on the fly. Customization - in crafting the registration process for guests, designing website and emails in HTML/CSS. Easy to use. And the reports! Sharing a dynamic Registrant List and other reports with a non-etouches user - feature made us weep with joy. Having a single platform that combines Marketing, Registration, Payment, and follow-up makes life so much easier and solves the problem of having multiple software or services that do not talk to each other. Best software support I have ever encountered. User management could use more features for account admins. Seating module is a little basic. Would be nice to have more features (a la Social Tables). Having a single event management platform for an large university at the Enterprise level, that can integrate with our existing services. Our university does not have a centralized Events office, so this helps give us a way of viewing what all our units are doing. "Aventri is great for event website creation/event management"
Their customer support is always quick to respond and follows up to make sure all questions are answered. They'll go in and do something for you if that's what you prefer, or show you how to do it. I like that there are folders for organizing media. Navigation within the platform can be confusing/making sure you're getting to the right place to update what you want. We're discouraged from touching code to make any modifications, but fortunately support will respond quickly if we need something done in the code. If good customer support is something you're looking for, this is the right product for you. As long as your team can sit down for a training session and focus/pick up on everything quickly, managing your event, website, registrations, etc. should be easy. Relatively easy/straightforward event management/event website creation. Good for file storage. Can customize almost anything we want it seems. Love that updates and support are quick. "Technology Cobbled Together = Unreliable"
For minor issues or questions, they have a very friendly support team. We had some major issues leading up to our event. The issues were escalated and I was told they were fixed and found out they were not. It's like the team didn't even test out their own fixes. I went back countless times and the issues were never solved. It led to a very chaotic experience for our attendees and our volunteers managing the event. Terrible system that is cobbled together. If you're running an event - there are so many newer and more elegant solutions. If you don't need to book hotels, travel arrangements, etc. - go with EventBrite or one of the other solutions that may not allow as much customization - but actually work... because at the end of the day, that's what really matters. Unfortunately we customized this product and it did not work at all and really led to a terrible experience all around. Their management team wasn't reasonable either. They offered us a credit towards next year - as if we would be foolish enough to do this again. You know what they say..."Fool me once, shame on you. Fool me twice, shame on me." Won't be fooled again. I ran a convention where we sold tickets to an event (general admission) and we had some paid activities as well. The technology completely failed. The activities displayed as "closed" when they were open, so we lost revenue and didn't fill the room when the demand was clearly there. We had disappointed customers that had problems registering more than one person for the event. We looked at other platforms, but decided to try eTouches (now Aventri)... we won't use them again. They are expensive and the user experience is really terrible. It's an antiquated system that they are trying to wrap in gift wrapping to make it more appealing. Sadly we fell for the shiny gift wrap. The customer service and support has always been very timely, pleasant, and (most of all) useful. I perform an admin function in the tool, which brings a lot of questions my way from other users in the company. eTouches support is always very helpful in tackling those questions and issues as they arise. The support team has also been quick to send issues my way if approached with authorization requests from with the company. Very much appreciated! The browser admin interface does not always seem as intuitive as it could. There is definitely a fairly large learning curve if you intend to utilize the full feature set eTouches allows. The draw back is that the tool can seem a bit unwieldy (and perhaps expensive) if you're not planning to use every aspect, so it pays to take the time to learn, but that learning can be frustrating at times. Definitely take the time to learn all of the capabilities of the tool. Will pay off in the end! eTouches has provided a great environment in which our company can organize and execute events, ensuring a colaborative, one-stop-shop for the whole team. It has been great to have a single tool for use across the company, allowing for much needed oversight and coordination within the events team. There is always room for improvement, but overall satisfaction within the team is high. "I have greatly enjoyed using eTouches. Very user friendly." There are many things I enjoy about eTouches. The amount of control I am given over the event is great. All of the different options that are available have been very useful. As well they are constantly adding new features that allow us to grow our events. The biggest issue I have come across is the complexity of some options. I have to go to this page, then that tab, then click this option. That will turn on an option on this other page so you can make that change. As well the site is not designed for a Multi Level Marketing business. This makes some tasks more difficult. However, they have been making changes to improve this. It has improved time management greatly. The registration system we used to use was built internally. To make some changes we would have to submit IT tickets and wait for fixes to be made. it would take hours or even days for fixes to be made. Now with etouches, I have control over almost everything. People are always amazed at how quickly I am able to make corrections. I like the ability to easily navigate between events and surveys. I also appreciate how simple it is to find and review previous events through the archive. I wish that the system regulated formatting for phone numbers, etc. so that all of the information exported the same way. For example, that all phone numbers would be dashed or included parentheses. This would make the user experience easier. Etouches is a simple and effective platform for events and surveys, helping the user easily gain relevant information. Etouches enables our business to open up opportunities to a wide number of partners and then select those that work best using the survey information they complete. eHome and emails > HTML coding/ text formatting does not always work on 'view'. Can be frustrating if user does not know coding. For this level of platform, one expects all the buttons and functionalities to be completely responsive on 'view' . 2) reporting - excel: sometimes formatting of spreadsheets is off, which makes it unreadable. I believe this might be a glitch in the reporting system. Project timeline - email with tasks becoming due/ overdue could be linked so people could update their tasks quicker, instead of having to browse through their entire task list. Systems are very user friendly on the front end, which helps increase submissions/ applications. "Hands down the best event management solution"
etouches is extremely easy to use. A million customizations and they keep updating the solution about every week. Amazing! We recently tried the loopd trackers to see where our attendees were wandering too most during an art show to show our artists what kind of real engagement they received from the event. Attendees were also able to easily network with one another and even exchance contact information back and forth. Not much to dislike here. I suppose the name could be better! We are using etouches to manage dozens of events per year and increase engagement from our clients and customers. This system gives us the ability to get full information on all of our evvents and attendees. The best part is working with the event management company, Executivevents. They are very familiar with the software and incredibly helpful. There is also a relatively high level of customization available in the site that is great. They recently underwent a user interface update and the new update is great. Also really like the reporting features - several customizable reporting options. Customer Service is not the greatest - sometimes it'll take days to receive a response. In some other cases, I never received responses to issues experienced with the system. If not using a registration management company, be sure to negotiate or confirm extensive user training. While I was offered a training when I began with my company, it was simply a webinar tutorial and did not dive deep into the capabilities of the site. We use eTouches for registration for all of our events ranging from 20 - 4,500 attendees. "Etouches as an Event Portal"
I like that it comes with 16 modules for planning and managing your event. Their professional support folks are not very flexible and accommodating. It is hard to have a good partnership with them. The company staff seems to all work remotely from home. The product is great if you have a typical standard event to manage. If you have a highly customized event it is hard because you will need etouches professional and technical support and I don't think that has been as good as other software. I also do not like the fact that you need to pay an additional fee to remove their logo from your event. Read your contract carefully. It is written in there that they have a right to put their logo on every page on your event website. We host many events around the world and uses Etouches to manage the save the date email communication to e-registration to event website to analytical reporting post event. Awesome to have a software that can provide a full solution. Kellen has partnered etouches since 2012. We have seen the company grow & prosper, and we are very pleased with the results. Top successes include continued ease of use, great customer support, good online learning, useful API, great integration between modules, great onsite experience. We also appreciate and utilize the system's ability to work with multiple currencies, multiple global payment gateways, and multiple languages, including Chinese. Some of the challenges include lack of development of the online booth sales & management module (ebooth), slow development of integration with association management systems (AMSs, such as NetForum, YourMembership, i4a...), limited scope of the appointment-scheduling module (esocial). being able to apply a successful registration template across multiple clients. Having a test area vs production area. accepting registrations in multiple currencies and depositing direct into client online merchant account through international payment gateways. having a one-click option to view the website in multiple languages, including Chinese. "A Great Platform at a Great Price"
The Administrative flow for configuration is extremely intuitive and easy for a general practitioner as well as an experience manager. The system allows for support of very simple registration as well as complex user conference and expo programs. Etouches beats competitors in areas of flexibility for look & feel (creating a much more attractive and engaging experience) as well as open standard API integrations. Etouches needs to continue to develop and extend capabilities for Session & Speaker Management to accommodate increasingly complex User Conferences, offering filtering capabilities within a formal agenda builder. Our company developed and currently manages a proprietary registration platform that supports Incentives and Meetings. We have partnered with etouches and will continue to support their growth efforts as we look for a long term, financially viable solution to meet the needs of our clients across all event types. "etouches has a bright future"
What is great about etouches is that they are constantly upgrading the platform with new enhancements and features. They really listen to their customers and the feedback they give. A difficulty we have experienced with etouches is that at times the platform cannot handle large amounts of traffic. This can be problem-some as some of our events attract thousands and we need to be confident that they are going to have an exceptional user experience while registering. etouches is a very strong platform that is working hard to develop a best in class product. If you are prepared to actively work with their team, this product will work to your benefit. etouches helps our automatic so much of what we do. With this automation we are more efficient with our time and our margin of error has been reduced. "Multi Event platform for association that becomes our CRM"
We are organizing around 10 events per year which are our touchpoint with our members and all the community. etouches has a lot of modules and I don't know everything. Sometime I discover too late a useful functionality and I fell frustrated. It is a great software with also a great team including both vision of the future and also 100% oriented on human relationship and customer listening. The main problem was our ability to understand the global picture of our engagement in the community. and also to detect low signal for both highly engaged people that we should work with and also low-engaged people that we should care. Another benefit is the value of the cross events data for our sponsorship programmes. "I have been very pleased with eTouches.I used a lot of other products before but eTouches surpasses." Functionality. Ability to specialize your registration. The customer service if fantastic! I can always get in touch with someone either via chat or by phone. Any time during the day or night. Cost is pretty high. I believe I can get other products for a much cheaper price. That is my only concern. I am wondering if I should go to another product. The annual price is high plus the per registration cost is also very high. The ease of use if great! This applies for the person setting up the registration as well as for the individuals registering. Registration for conference. The ease of use is great and people seem to understand how to register easily. This was not the case with my previous product. TEDxSydney is a one day event, with a complicated ticketing/purchasing process and many categories of attendees. In the past, we have managed this complexity via a combination of spreadsheets and home-grown databases, which has often resulted in loss of information or registrants on the day, as well as created challenges with reconciling multiple lists of registrants. This solution had worked for us over the years, but during the past two years, we had outgrown it and needed to find a partner that was state-of-the-art, that would be easy for our organising team to use and would help us delight our audience during the registration process. Etouches made such a difference to us, as it provided a single source of truth for all our registrations, payments and refunds, and allowed us to have an easy and quick snapshot of all our attendees at our fingertips. For the first time our ticketing process received only silence or positive feedback from the attendees. As a non-profit, we rely on volunteers for much of the registration and audience management and this team has been thrilled with how much easier this has made their jobs. Also, the registration process on the day went much smoother due to etouches with one attendee giving it a 12/10! "The experience has been stable. " There was some miscommunication about the app platform and the failed sync report. Other than that, everything else has been pretty intuitive. No business problems at the moment. I think the fact that there is a centralize place that does work for our users has been beneficial. "I do not recommend it / We are now looking for a new solution"
eReg, the registration module is very complete and flexible. You can manage any kind of event. No transparency, No open conversation with any staff of Etouches. Problems appears at the very beginning, but the team was much more helpful. Now we do not feel as a Customer for them, they are not willing to improve the software, and themselves. We are now looking for a new solution as we are very disappointed. THE SUPPORT TEAM!! They are incredible, and I always receive a quick and thorough response. The support team goes above and beyond every time, and ensure my question(s) is/are answered before closing out the support ticket. My account manager is also wonderful, I just utilize the support team more than my AM. At this time, I have no dislikes with eTouches. I don't utilize all the features they offer, but I'm looking forward to learning and implementing more features. "The software for event managers"
eTouches is specifically made for managing events in detail. Where our Marketing Automation Platform (MAP) stops (misses functionality) eTouches takes over and still provides a seamless integration back to our MAP giving us as event managers all the capabilities that we need. It's very easy to learn to use and not much can go wrong. We are most likely only using 25% of the total capabilities of the product but it does exactly what we need it to do so we are very happy with this solution. The integration functionality is great and key factor when we made the decision to work with the platform. Perhaps they could provide some more templates for things such as event pages and emailers. That would make it even easier to get an event setup in minutes. Other then that i would love to have the option to trial the other modules that they have to see if there is anything of value in there for us. You should be running a reasonable number of event registrations a year to validate the investment in a platform like eTouches. We needed more information from our events but didn't want to store all that data in separate fields in our MAP environment. Think of fields like session interest or food interest. Also making sure we have a good overview of all the registrants and the revenue we generated was something we where struggling with when we didn't have eTouches. Next to that we also searched for a way to collect payments as our MAP doesn't offer any functionality in that department. "Great Events Platform - Many Features - Integrates well with mobile app"
Languages and integrations. There are many APIs that make is very easy to integrate with other systems. I also love that so many language options are available. Also, the ability to frame a web page in the app that knows the id of the user makes it simple to create custom experiences, almost anything you can think of. I would like the survey module to be responsive. That is coming soon. Will be great to move away from surveymonkey. I really like the ability to input our own coding into it and their willingness to always work with our company and help us along the way. The new user interface makes everything even better now! I honestly don't really dislike anything about it! We haven't run into any problems with using it, but we've been able to benefit by sending out surveys and emails through the same platform we build the websites and that's a really nice convenience to have. "etouches has solved some of our biggest problems"
Before we got etouches our team gathered rsvps through email and it was a long and tedious process. Automating the process has saved us so much time and effort. It also removes a lot of the ambiguity for our invitees. They know right away that we've recorded their rsvp and don't need to wait around for someone to get back to them personally. We have also been able to take advantage for the emarketing and send out invites easily. We no longer have to use mail merge that constantly caused our computers to crash. All around it has benefited our event planning processes. I love the new registration page templates. The look is a major improvement over the old default template. etouches can be a bit glitchy for me. It isn't easy to copy paste text from a word doc into an etouches email window. The formatting options are not very extensive and tend to cause issues for me. I don't know how many times I've created an email and looked it over just to find the formatting totally messed up once the test email hits my inbox. It's very frustrating when this happens and it takes multiple tests and rewrites to get it to work properly. etouches saves us time when setting up registrations for our numerous events. It streamlines the process for our invitees and allows us to force them to give us the information we need. Before etouches we had to rely on people actually reading our invites and requests and deciding to respond with all the information we asked them for. This was never an easy process. Etouches also makes sending out invites much smoother. Before we never had the option to set emails to go out at a later time. It is also much quicker to send out invites to thousands of guests. No longer do we have to use mail merge. "etouches has changed our event registration experience!" I love that the interface is easy to use. Our staff is able to quickly find registrants; our attendees are able to easily register and as an admin I can pull reports, cross reference attendees and print badges with ease. I wish there were a few more options like a registration open date/time. Sometimes we set up for an event that has an accounted "registration open" date/time and we have to manually come in right at that time to open the event, which can be a hassle. We have been able to register people quicker and easier than with past software and we have especially liked the mobile check in/onsite check in options. "Registration system is better than most but has notable flaws"
Finding a registration system that offers true group registration with either group or individual invoice options has been difficult. eReg comes the closest I've seen and the automatically generating, forwardable invoicing has made life in a small office holding events for 2,500+ much easier. For the most part, the system is fairly intuitive and includes time saving features. Costs are reasonable and technical support is generally very good. Despite the fact that some features are head and shoulders above similar systems, eReg does have some notable and frustrating flaws. The search ability for the check in process has what I'd consider a fatal flaw - it searches only for an exact match. If extra spaces or hyphenated names have been entered into a registration record, they will not come up in the search unless typed in exactly as they were input. The search feature within event registrant lists functions much better and will pull up any result containing a portion of the search criteria entered. The mobile check in search feature works the same as the registrant list. Another place where etouches falls down is with the event mobile app TapCrowd. For my last event, we found a number of errors in the program which caused information displayed on iPhones not to correctly sort or display as intended. Every time an update was made, our extensive custom formatting had to be redone and my final costs were almost 4 times more than budgeted due to the amount of time my contractor spend redoing the same work multiple times and calling/following up with tech support on the plethora of issues we experienced. Finally, while individual costs are included for group registrations, payments must be manually broken down if you need to see individual portions of fees paid. Some of our groups are 40+ and manually applying the fees is clunky and cumbersome. Get a trial and build an event based on your most complex or time consuming event needs and fully test the search abilities. For our organization the pros definitely outweigh the cons but if your needs are fairly simple, this might not be the program for you. eReg has, for the most part, solved our need to have a quick and easy method for invoicing and sending balance due statements. The time savings has been extensive. "Great Product / Sporadic Customer Service "
I like that there are some great customization opportunities, but without having a great background on the product we aren't always sure if we are using them correctly. I like that there are training opportunities and have found that quite helpful, but they tend to repeat themselves and difficult questions aren't answered in real time. I dislike that the e-touches university platform was launched and then tapered off. I'd like to really learn how to utilize the product in more real-life applications and not just how my company has been able to make it work. Customer service is sporadic. Sometimes they are kind and helpful and sometimes they are flustered with your questions. If you want something really pretty with drag and drop features, etouches ins't that. if you want a robust system with customization capabilities then etouches is your platform. If eventbrite and other simple systems aren't cutting it you need to make the move to something that can meet the needs of processional clients. The main business problem we are solving is being able to offer our clients an inclusive registration portal with great capabilities. "AVENTRI - MY WAY 2 THE EVENT BUSINESS"
What I like the most is that Aventri support is available 24 hours a day and solutions are found immediately. I also like that we grow together. Unfortunately I have to say that many processes in Europe are different (e.g. 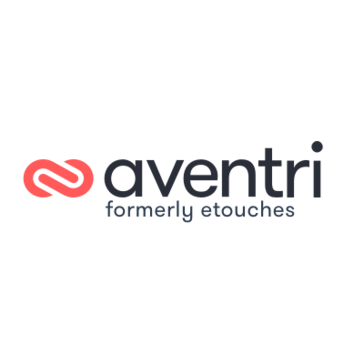 accounting) and therefore there are unfortunately some problems that should be solved in order to enlarge Aventri in the European market. With this being my first year using eTouches for my organization, there is an expected steep learning curve. Not so with eTouches. It's design is very intuitive and lends to getting started and feeling like you are accomplishing something very quickly. Additionally, when you do run into an issue, the support team is very quick and thorough in getting back to you. Being a newer company, there are some features that one might expect that are not fully functional yet. With the shut down of my previous event organization software, eTouches has stepped right in and provided more than what we had in the past. Registration forms are very easy to setup with eReg. Event websites are easy too with their eHome product. Their customer service team is outstanding and there is rarely ever a hold to get live support. They also offer live-reports that your clients/customers can see anytime. That feature alone has save countless hours. The eBooth system is a bit more complicated, but it that just might be my proficiency with their system because in the end it did the job. I am managing many events from one central system. I have save a lot of time from other registration systems we have worked with. With our previous event registration system, there were constant complaints from attendees about the registration process. To the extent that nearly all of our registrants would actually register by phone or through staff in the office. What’s the point of having and online registration platform. Now 95% is done through eReg, enabling our staff to use their energy and talents on the actual event production and execution. Through the efficient use of the onsite registration and mobile check-in features, post-event wrap-up is easy and no hassle. With a few clicks and pre-drafted email templates, we can send “thank you” emails to those that attended, “sorry we missed yous” to those who never made it, and tax deductible notes to those who supported the event first thing the day after the event. The integration between eTouches and Salesforce has been lifesaving for us. With our previous system, unique guest lists and email lists were created for each campaign/event. After the event or campaign was complete the information would be updated back into Salesforce if time allowed, which was rare. Now we know instantly who received which emails and what program they registered for, which makes our Membership Group and Business Development teams VERY happy. There are a few things I wish could be more integrated in eTouches, but as those things come up I've been able to submit our needs through the customer support portal and eTouches continually adds them to the development queue. They constantly make updates to the different modules to increase functionality and better the user experience. I am part of a very small event and marketing team (3 people!) that successfully develops, produces and executes over 60 events throughout the year, so we need all the time and support we can get. Through the implementation of eReg, eMarketing, and eSurvey we have continued to maximize registrations and minimize staff resources for each registration and email appeal sent. Gone are the days of reading forms and lists and manually typing in attendee names and survey responses! "I’m thrilled with how easy eTouches has made my marketing life"
I love how easy eTouches is to use, in all aspects. It's incredibly intuitive and user friendly, it meets every need that we have from setting up registrations, to marketing events, and syncing it back to our Salesforce database. It's an essential part of every event and program that we run and helps our small staff get things done efficiently, quickly, and produce really high-level materials. There are some additional features that I would like, but I've been able to submit those needs through the customer support portal and eTouches continually adds them to the development queue. They are always making updates to increase the functionality of the system. This really is the most robust software on the market for event planning and management. There are some improvements to be made on the digital marketing side, but eTouches is constantly working on their product and I have full confidence they will continue to provide product updates. Before we implemented eTouches we had a TON of problems customizing emails, getting them out, getting attendees to convert from viewing an email to registering for an event and sometimes they would try and register for an event but just give up because our old system was so difficult to use. With eTouches we've increased all of our metrics around our digital marketing, event registration, and attendance. We do a lot of events every year (over 60) and we have a team of 3 for all the marketing and event production, so our time is really valuable. eTouches has reduced the amount of time we need to spend working in the platform while increasing registrations and revenues from our events. eTouches has literally changed the way we do business and now we have more time to work on the business, rather than just in it. I like that eTouches is a User friendly platform and I really enjoy the clone features. I also like that all of our team can be in the system working at the same time. The support team is great, I like that you can call them any time. They have helped me on numerous occasions. I wish that we could upload spreadsheets/docs to the system and then see that transpired onto our eProject. It is a competitive product. This products helps our team organize our events from A-Z. We benefit from streamlining the planning of our events in a central location. I used to like the service, but no longer feel that way. The website builder and the service. The HTML builder doesn't always keep your changes (especially in bold and font changes). The formatting is not easy. . We recently purchased the templates to make our event websites look nicer, but they have become more trouble than they are worth. The support team (when /if we can through to them) cannot assist us, and it takes days for the escalations to be reviewed. I feel like we have been sold magic beans with the templates. We were promised the website builder would improve, but it is still hard to use and not responsive. N/A. This is an event registration website. I love how many options there are. And I love how helpful they [etouches chat support] are! I wish it was easier to check on registrations via mobile device. It can be cumbersome to learn but it is great! We are able to create, recreate, and process many registrations all at the same time. We love the summary reports and the ability to quickly see the data. I love the ease of using and the available modules. It's great that when working in eReg and eHome, you're able to use the word editor versus having to know html. We do quite a bit of customization and using eTouches for registration makes it easy not to mention the custom reports we can create. Our company has some specific functionalities that are unique to our business and these may not be available with eTouches. I highly recommend this product for numerous reasons. "etouches is our marketing tool #1"
The level of customer service is unparalleled. I got everything I needed (and more) in a timely and understandable manner. Some of the initial trainings didn't prove tremendously helpful because I had previous experience using the app. A more customized training/onboarding could have been more impactful. I have already recommended this program to other Goodwills! Utilizing this application for our recent national conference was a big hit. The way that it has facilitated ongoing communications and collaboration has been amazing! "Good functionality for registration pages, but HTML editors very fiddly." Being able to register guests and have them sent a check in barcode. I think there is a lot of room for improvement. I use the tool primarily for survey administration and feedback collection. eSurvey leaves a lot to be desired in terms of the interface and reporting. Survey Monkey just does a better job for us, and seamlessly collects the meta data we need. We are using the tool for survey administration for large learning events. There has been a cost benefit and efficiency gain by using all the tools from the same suite. "Great Solution for many needs"
eTouches is easily consolidating over 25 different systems that we use here. I was not able to go to training but I can easily figure out how to set up everything and it's making my life much easier. Everything is pretty self-explanatory. Most likely user error but I have to figure out the hotel function, it didn't link to the site as I wanted it to but I could've set it up wrong. Other than that, I have no complaints. Registration, project management for events, better agendas that integrate with a mobile app, and so much more. eTouches offers great flexibility in creating event pages and registrations. Sometimes getting answers to more advanced questions via tech support is challenging and time consuming. Have an internal IS rep on your implementation team to deal with technical issues. If you plan to implement any integrations, insist on current client references before selecting and implmementing. There were several disconnects on exactly how integrated certain APIs were. We manage many large and complex internal events. Most event registration softwares charge a fee based on each registration, but since we are not recouping a fee for these events, a per use charge can get out of hand. While eTouches still has a usage based model, their pricing structure was the best available for internal based events. "Robust suite of software that helped us take our executive event to a new level"
The etouches suite of products provides the potential for integration among event registration (with payment gateway capabilities), call for proposals, dynamic agenda, event seating charts, budgeting, social media, email marketing, and event mobile app with monetization features. This means that everyone at our organization who is involved in event planning, management, and execution is using the same platform and working from the same data set. This level of consistency across disciplines enables better communication, less duplication of effort, and greater efficiency. Our attendees loved the ease of use of the mobile app, and we had the highest adoption rate of live app users during the event than we have had in previous years. There was a much steeper learning curve than we expected which may have been mitigated with more training upfront. Some of the data was not fully integrated as we'd expected, but I understand that new releases have addressed that. We are working to increase efficiency, and plan, manage, and execute an executive level meeting with shorter timelines, less staff, and without the need to own or develop our own registration platform, as we have done in the past. The etouches suite of products provided all of the functionality we needed - and way more than we could even use - our meeting is relatively small, but this system can handle much larger meetings with a much more complicated system than what we have. This is a enterprise system that can basically be set up to do just about anything with respect to event planning and management given well-thought-out business rules and requirements. It's really easy to get the hang of everything and our clients really like the look and feel of the sites we're able to put together. I wish there was more freedom with the layouts, but that comes with building blocks for it and my company already has two we use, just wish there were more ways to have the layout. I'm really not having any problems, but it's been great to be able to customize so much of the websites to match our clients branding. "Implementation of etouches as the inhouse eventtech platform in a private corp comp"
The etouches event management platform enables Grundfos to steamline our event and meeting management tasks and creates the possibilite to co-work efficiently cross department and contries. When fully implemented the platform will generate an excellent overview of how Grundfos use/benfit from our event/meeting investments or called spend. It is time consuming to implement an event management platform and You need an internal strong driver person and an operational funktion to lead and carry out/on the implementation job. I recommend that etouces takes good care of their key-accounts and the emplyees in their help desk service departments. As they are the fundament for a professional onboarding process for customers and to secure ongoing improvements and partnership with agreement customers. I have expeerienced from other supplier agreements that these people is absolutely vital. For Planners: save time, professionalize their ways of working. Creates motivation amoung planners when offering them a professional tool. We needed a solution to register delegates (of varying types) for our Annual Conference and AGM, one big event a year. The solution is fairly intuitive once you have had some time to play in a demo environment and absorbed the many short online tutorials provided. The more time you invest in those tutorials the better you will be at picking up and understanding the flexibility the product has to offer. Regular scheduled webinar training at flexible times was available too that allowed better opportunity to see the possible configuration options in the platform. Thrown in at the deep end with a short time frame to implement a solution I found that getting the know the product before I started to try and use for first event was key and very important. It gave me a big picture overview on the platform, modules and expected options available for various configurations. The flexibility in the registration (eReg) is great and allows for many scenarios when setting up functions and elements of your events. In my first year I was the main person setting up the event and slowly introduced our users (event team) to the appropriate elements of the system. It wasn't an overly steep learning curve for the various end users, this again assumed I as an administrator was able to appropriately know the product in advance of configuring for our first event and in turn imparting to the various different users what elements they needed to be exposed to in the platform. Year 2, was able to delegate more to the users and now starting year 3 have less hands on as others have come up to speed on the higher level setups/configurations. eMobile, is not seeing much development beyond what is in the box - they are favoring the option for you to avail of their newly acquired mobile app solution now that would entail extra costs. eSeating, for planning of gala seating is a little clunky and has interface that requires flash, along with some difficulty in filtering for users when placing registrants at tables... we managed through reports to work around this, but it could do with some improvements and have put in enhancement/improvement requests. eHome, the content management system to market your events is good, but could do with more responsive design templates that interface better with the registration (eReg) module. Loss of integration, with our previous customized legacy system integrated to the ERP. This wasn't a major hurdle, in time we can exploit reporting to extract and then upload to our ERP at a later time. Options exist to use API's to re-integrate to our updated ERP, again in time that will be accessed and if required we'd develop those integrations. Always invest the time on getting a demo access and play with the platform as you review their online short videos and webinar sessions for the various modules. Get good foundation understanding of the product so you can start off any configuration for your events knowing the possible best way to set-up for your event/function. Our organisation had a legacy customized and outdated event system for registering delegates to our Annual Conference - it was heavily tied into our existing ERP, When that ERP solution was updated there was significant breaks in the original legacy system. The expert on that product who'd customized in past years was no longer with our organisation so we needed to implement (in a typical short time-frame) a replacement solution that met our event planning teams needs for our major Conference and AGM. Having the registration platform now SaaS meant we could be confident of the system up-time. Payment gateway integration that is PCI compliant meant reducing some exposure for our organisation in accepting payments, the heavy lifting done by eTouches! On site at the venue prior and during out event we needed only have internet connectivity and not having to setup VPN connections back to our office to handle those badge printing, report running, last minute registrations or delegate changes. "eTouches handles complex registrations elegantly"
We have clients with very complicated event structures - one has more than 300 separate events from which a registrant can choose for a 5 day program. With its ability to not allow people to register for two events at the same time, eTouches has greatly decreased the need for staff intervention in the initial registration process while ensuring that classes accept no more than the maximum established by the teacher. The integration of its different modules eliminates duplicate keystroking and increases accuracy. The transition from eSelect to EReg is seamless, and the creation of a mobile app in eMobile is so easy it literally takes less than 30 minutes. The customer support at eTouches is amazingly helpful. I meet with eTouches at key industry meetings 2 - 3 times a year - and tell them personally about the (few) problems I encounter. Within a few months, I'm usually a very happy camper with the revisions they have made. Take a careful look - I have encountered almost no issues that they cannot provide a solution - and an elegant one. As an AMC, I need one registration system that can be adapted and customized to a wide range of registration and event needs. The seamless integration of the different modules increases accuracy and decreases the staff time involved. We look more professional to our clients, and can often say, "Yes, we can do that!" when a program committee asks for something new. * We monitor all Aventri reviews to prevent fraudulent reviews and keep review quality high. We do not post reviews by company employees or direct competitors. Validated reviews require the user to submit a screenshot of the product containing their user ID, in order to verify a user is an actual user of the product. Hi there! Are you looking to implement a solution like Aventri?